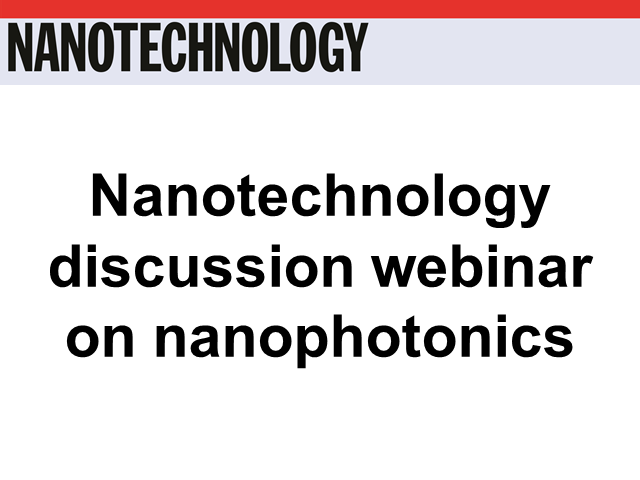 To celebrate the International Year of Light, Nanotechnology™ has been producing a focus collection of some of the most exciting developments in nanophotonics. In this webinar, authors of some of the papers in the collection briefly introduce their results, after which the papers are open for extensive discussion. Webinar attendees are encouraged to raise comments and questions regarding the work presented, for the panel of authors to respond to.